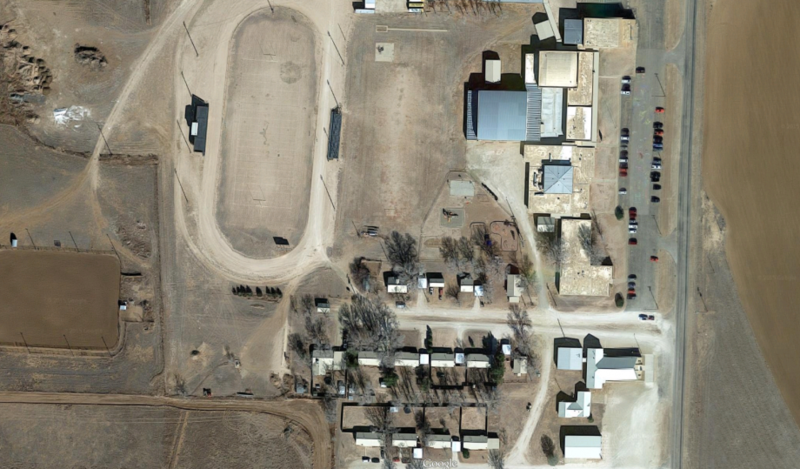 Lazbuddie, a small dairy town on the northwest edge of the Texas Panhandle in Parmer County, is seen in the photo above. Like many parts of Texas, Lazbuddie is still suffering from a water shortage despite heavy rains that drenched in state in May. The local school district uses well water and may run out in less than two months.